Check out the casinos on the side of the article, make sure you see the Welcome Bonuses of the same, and deposit to get them. Best of luck and enjoy the relaxing Tiki Island Slot. One of the Gamesys’ most popular online slot games that will take you to a remote island where everything is as your wildest imagination would tell is Tiki Island Slot. The tiki culture is very old, but everything that’s happening on the island is still considered to be a pure magic. Now, you have a unique opportunity to enjoy it from the palm of your hands through a mobile device or from your laptop and favourite sofa. 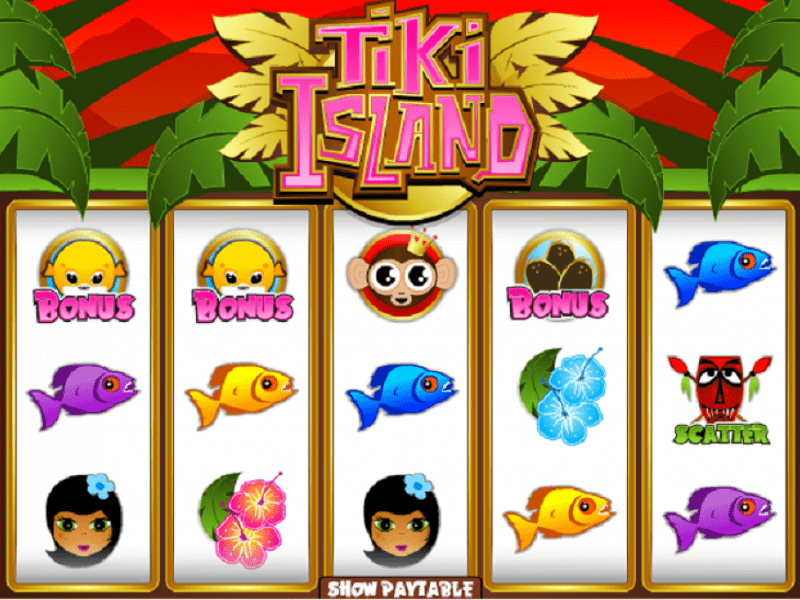 Tiki Island slot possesses five reels and 20 paylines and you can start playing the slot game as soon as you’ve selected a casino on the side of this article. The casino is pretty important for your gameplay and you will spend all of your playing time on the pages of the casino, so make a good choice. Check out the welcome bonuses and the players’ ratings to make a decision. The denomination that you can spin with starts from £0.01 and goes all the way up to £200.00 per single spin. There are Three Bonus Games at your disposal and you will be spinning with an RTP of 96.30%, which is much higher than the online slots average. If we managed to grab your attention and you already wish you were part of the Tiki island paradise, hit the big red button on the side and start laying immediately, or scroll below to read more about the game. The online slot game has many surprises that we won’t give away that easily (maybe we will a bit below). For starters, we’d like to tell you to pop up the volume as there is a fantastic and relaxing music as well as sound effects when you are about to land a big win. The design of the site is true to the theme and you will feel awesome as soon as you enter the screen. Graphics wise, there is a bit room for improvement, but considering the game is a decade old, it’s as good as it can get. 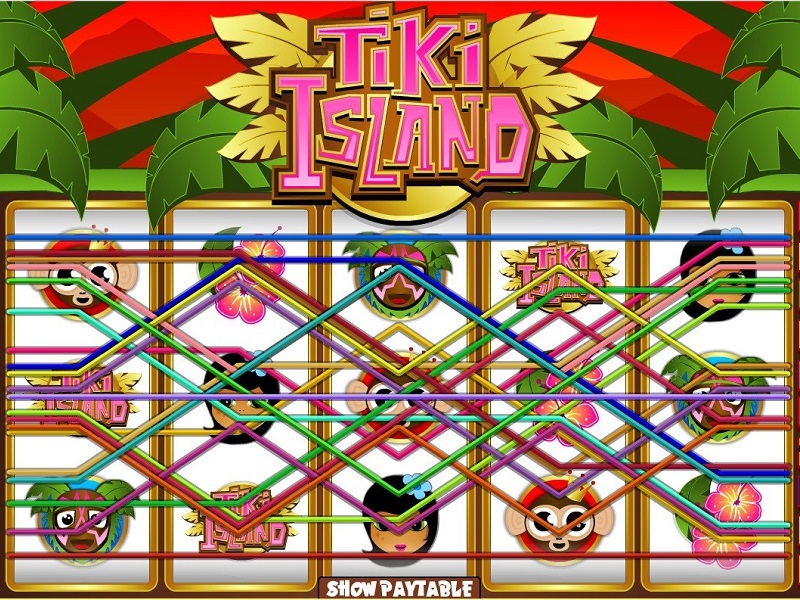 The top of the screen is for the Tiki Island slot logo, while the sides are for the paylines, and if you mouse over them, they will appear on the screen so that you know what to expect. On the bottom, however, are the adjustable options and features of the game. You can see the bet, the bet per line as well as the level of the game. Also, the Auto Play and Bet Max features are down there, right next to the magical spin button. The middle of the screen, as expected, is for the reels of the game which have a blank background and that’s something that we don’t like but maybe it will be good for you. Definitely doesn’t have an influence on the final outcome but at least when you are spending time on a slot game, we want you to spend it well. The overall screen is vibrant and there are a lot of colours on it. You will most definitely love this Pacific island themed online slot game if you decide to give it a chance. As expected from one of the top games on the market, there are two categories of symbols that will help you with your ultimate intentions. The lower valued symbols are the playing deck of cards symbols which will give you a small amount of payout if you manage to land three or more on an active payline. On the other hand are the higher valued symbols which are represented by a fish, a Tiki man, some colourful flowers, a Tiki girl and a monkey. All of the symbols have that tiki touch on them, making you feel even better and giving you the impression that you’ve truly departed on a tiki island. To make things more interesting, there are even four special symbols in this game. The Wild Symbol is represented by the game’s logo and it will substitute all the normal symbols of the game and participate in the winning combinations of the same. It can also pay out prizes on its own. There is a Scatter Symbol which is a shield with a face on it that triggers the bonus feature and there are also two bonus symbols being some coconuts and a puffer fish which also play a role in the bonus features, something which we will talk about a bit below. 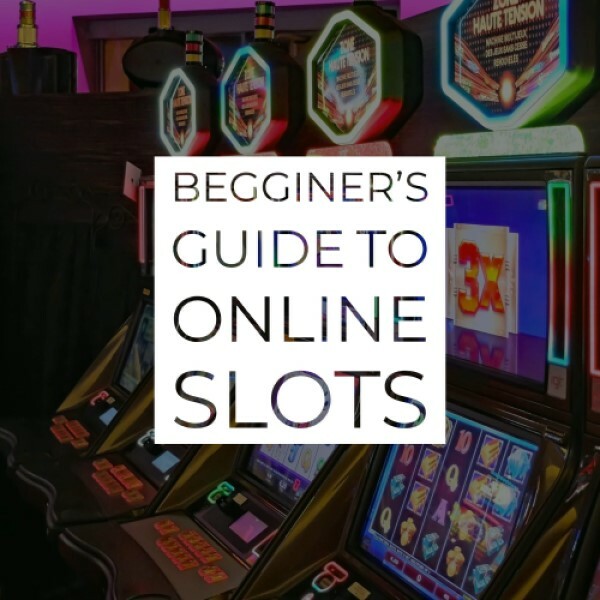 This online slot game has a lot of advantages and many positive things in it, and that’s why it has been one of the most played games even though it’s pretty old. This game has five reels and 20 paylines at your disposal, and you can play it as soon as you’ve selected a casino where you will play the game. The casino plays an important role in your gameplay as you will spend a lot of time on the pages of the same. They are also responsible for your money, your deposits and withdrawals, so make sure you choose wisely. You can check the welcome bonus of the casinos and the players’ ratings to make a decision. If you have trouble, go for the casino on the top, as we always put the best one there. Once that’s done, set the denomination of the slot game which ranges from £0.01 all the way up to £200.00 where you will be spinning the reels for a multiplier as the largest jackpot that you can get. Since the jackpot is a multiplier, you should know that the higher the denomination you play with, the more lucrative your potential wins will be. This is where the Bet Max feature comes in handy, and it’s tailored for the people who love adrenaline rush and goosebumps. This feature sets the denomination, coin value and level of the game all the way to the maximum while also activating all of the paylines that Tiki Island possesses. Although this feature is one of the most rewarding ones, you need to be extremely careful with it as it can lose all of your wagered money in the blink of an eye. Either come up with a plan or a limit to your cash or completely neglect the feature. On the other hand, the Auto Play is a much more relaxed feature that will set the reels of the slot game spinning automatically, with you only selecting the denomination of the game and the number of auto spins. With this feature, you can completely forget about the game, go AFK or make yourself your favourite cup of tea, although we strongly recommend you stay there while the reels of the game turn automatically. You can always cancel the feature and proceed manually. There are three Tiki Island Bonus Features, so let’s get started right away. As soon as you manage to land three of the puffer fish symbol, you will activate the puffer fish bonus feature of the game. Once that happens, you will be taken underwater to a new screen where you need to select one of the three puffer fish which will release a coin reward. Everything that you manage to get out of the fish will be yours, but note that if you manage to select a fish without a reward, the bonus found will end and you will be returned to the Tiki Island Slot game main screen. This feature is activated as soon as you land three or more of the coconut symbol and you will be again taken to a new screen. This bonus feature is very similar to the one that we just explained above – you need to click one of the coconuts to crack it open and the prize that comes out of it will be yours. Again, if you manage to open an empty coconut, you will be taken back to the original, base game of Tik Island slot. Although the Scatter symbol is not among the most rewarding ones, it still offers something impressive. Depending on the number of scatter symbols that you manage to land, there will be some multipliers ready at your disposal. Landing five of these bad boys means an incredible multiplier, so fingers crossed for that! We all know how the mobile device is quickly replacing the laptops and personal computers, and it’s the same story with slot games. There are more people playing slots on a mobile than on a laptop or computer, so the games that need to be responsive for mobile, or in other words, playable on a mobile device. The casino also has a huge role in this as it may have an application ready for you to play Tiki Island on Mobile straight away, or it may have its site compatible for these pocket devices that we love so much. The important thing is that you can play Tiki Island on the mobile device regardless of which operating system you have. You can play it from Android, iOS or Windows mobile, and the experience is just the same as the one from the desktop. The RTP is an abbreviation of Return to Player and it indicates the amount of cash the game returns to the players playing Tiki Island slot, over a longer period of time. The time is determined by the producing company, and it usually counts in spins (10,000 to 100,000) or a time period (10 – 12 months) and what that time or spins pass, the percentage should be exactly as the company states. If you want to know more of the RTP and check out which games have the best RTP, you can read our Detailed RTP Guide. This is much higher than the online slots average of 95% meaning a larger return for the players and lower hold for the company. This number has to be true as it’s constantly checked by the UK Gambling Commission and other regulatory companies. To sum up, this awesome game that will most definitely five you goosebumps and time out from all the hustle and bustle that we are all living in. The game has a lot of bonuses and surprises if you click on the right items, an RTP that’s worth playing, and fantastic design and music installed.